For some reason or another, there are restaurants hidden throughout the industrial parks of Surrey. Sometimes, if you didn't know the exact location of these places, you would've never guessed they existed. Calypso is a classic example of this. If it weren't for a reader who tipped me off about Bengali Fish & Curry, I would have never visited the place. In fact, our resident Indian food expert in Surrey, Nikita, never even heard of it. Thus, when I mentioned it to her, she was more than game to try it. From the outside, the place looked pretty good. Not the hole-in-the-wall as I expected. Now, entering the place, our first reaction was, "where do we sit?". There is a counter with a kitchen behind it and just a few bar type seats near the window. However, after ordering, we were pointed in the direction of a fairly nice-looking dining space. It confused us slightly since it is the equivalent of ordering food at a cafeteria and then being seated in what looks like an actual restaurant. No matter really, I think this setup helps keep the costs down. And about the cost... The lunch specials are dirt cheap. 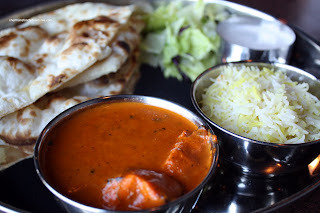 For $7.00, you get a choice of curry that includes salad, rice, naan and raita. I ended up going for the Fish Curry while Nikita went for the classic butter chicken. With big chunks of tender fish (not really sure what type of fish it was), the curry had hints of tartness which resembled a vindaloo. I enjoyed dipping the soft naan into the mildly spicy curry. Nikita's Butter Chicken was quite smooth and creamy. The sauce was quite balanced where it was neither too salty, sweet or tart (from the tomato). 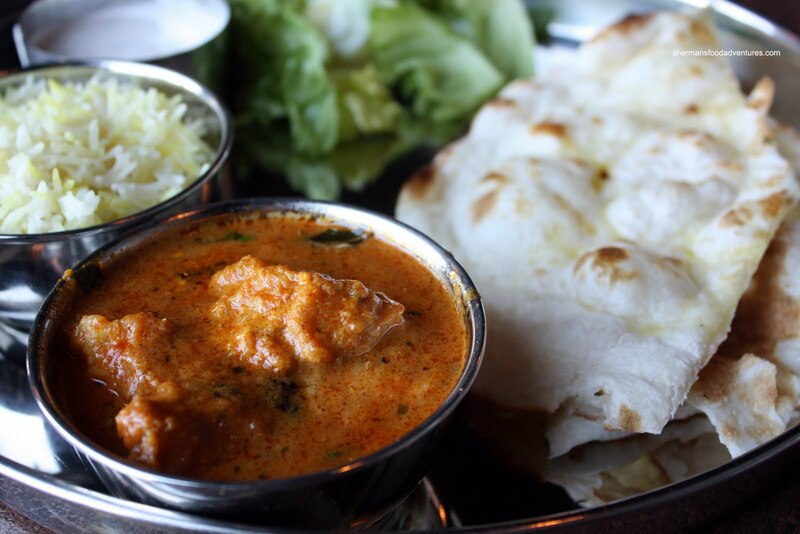 The only complaint about the butter chicken would be the lack of chicken. 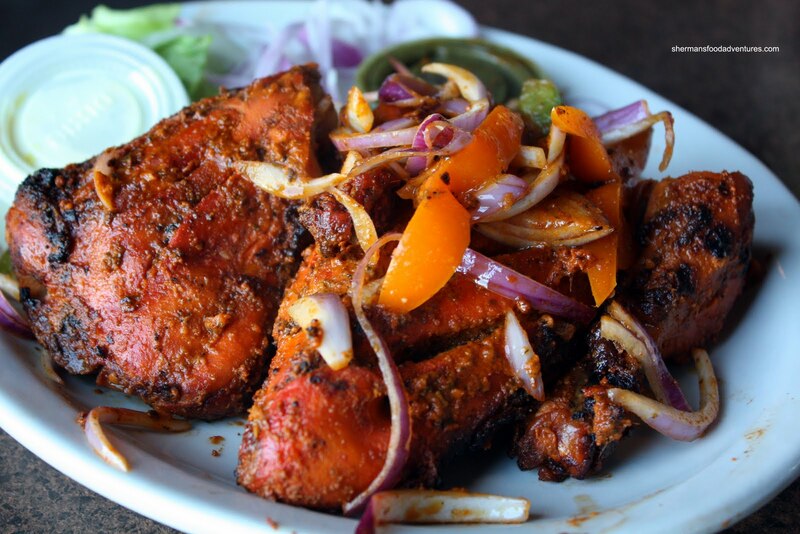 Well, we made up for the lack of meat with a half Tandoori Chicken. For $8.00, we thought this was a good value. There were big pieces of perfectly cooked chicken. The moist, tender flesh gave way to a spicy and flavourful exterior. This version was a bit spicier than normal; but I liked the extra kick personally. Overall, we enjoyed our meal at Bengali. The food is solid and when you factor in the low prices, it trumps many of the other Indian restaurants nearby. However, with that being said, albeit friendly, the service is quite sparse. The way you get around town Sherman, never ceases to amaze me! Glad to hear you made it, and enjoyed it. 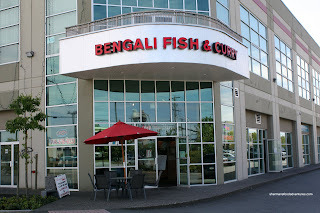 From my office, Bengali Fish & Curry (BFC) is really the only option for lunch without getting in the car. Of course, there is Mr. Toasty across the street (They have a picture of a sub sandwich on their sign). However, when I went to try it they said they no longer stock bread... Too Funny. I guess it became a fast food indian place that never changed the name. No comparison to BFC. FYI- The crazy layout is remnant of the Taco Del Mar that previously occupied the space. its not cafeteria style. you can order inside while you sit as well but most people dont know that. shokutsu, my car hates me for it. LOL. Drew, thanks for the heads up. Definitely a good value and decent food in a random location. Anonymous, thanks for the tip. It didn't even occur for us to sit down first and order! Going to try this place soon. The food looks good. =D If you want to try something other than North/South Indian food in Surrey check out Pakwan House. Which is also in an industrial area. They have amazing shami kebabs, nihari, and biryani. They give Dakshin a run for their money in the biryani department. we went here the other day and the food was great! made fresh and we just loved the smell of the grill mmmm..... I know the lunch special is cheap but next time try their lamb kebab too! It's quite a large portion and comes with some grilled onions, so good. We had the grilled meat kebab at Vij's and loved it, but this place is way more accessible. I love Bengali F&C. Sure, it's not "Indian" food technically, but it's sure good for cheap! 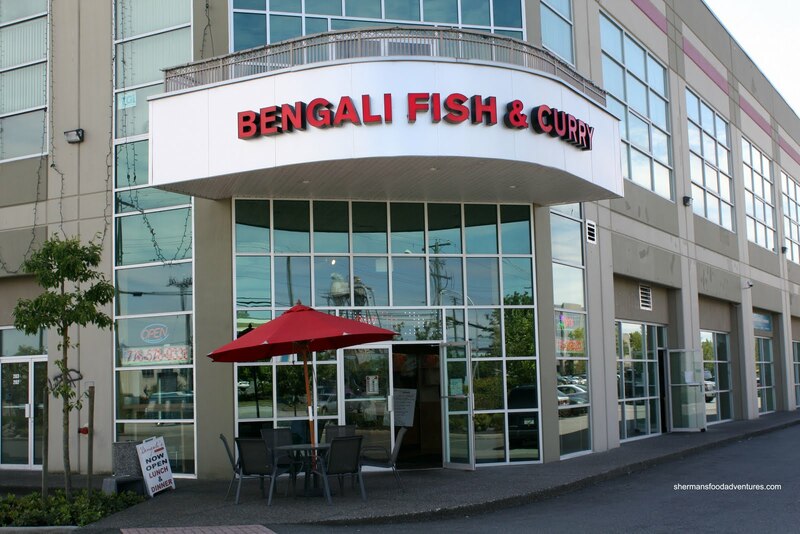 The only problem I have with this place is that they call themselves "Bengali" fish and curry. The guy who owns it isn't even bengali himself and none of the food offered there is especially bengali at all.